Shortly after the Yankees 4-2 home opener win against the Orioles, Manager Joe Girardi put a damper on the day. 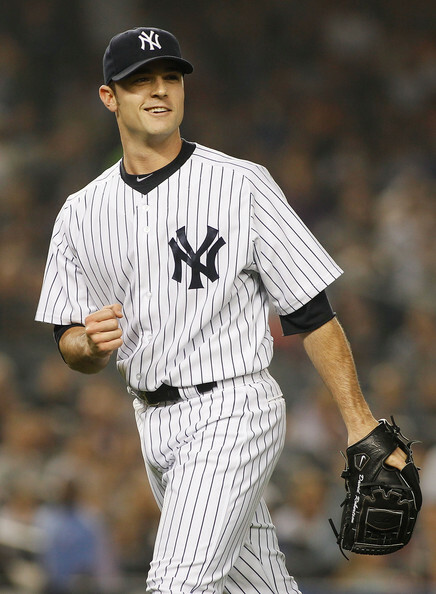 Closer David Robertson has been placed on the 15-day Disabled List with a groin strain. Robertson is in the midst of his first year as the Yankees closer, after replacing the great Mariano Rivera. He had been off to a strong start, throwing 3 scoreless innings while recording his first two save opportunities. The Yankees bullpen was already full of inexperienced late inning arms, which now leaves the closer role in a bit of turmoil. Without any other experienced closer or set up man on the roster, look for a combination of Shawn Kelly and Adam Warren to fill the void for the time being. Veterans Ryan Madson, Joel Hanrahan, Octavio Dotel and Kevin Gregg are still available and could draw some attention from the Yankees in the coming days. Although some may not be immediately available, as they continue to rehab from injury, any of those arms could add long-term insurance to their bullpen. It’s hard to ever say there is a bright spot when it comes to a player going on the disabled list, but at least there isn’t any sort of arm issues. Those are the ones that really raise eyebrows when it comes to pitchers. However, groin strains can be a nagging injury and will be something the Yankees will have to watch closely in not rushing Robertson back to quickly. Bobby Parnell to undergo Tommy John surgery…Is anyone really surprised?